I was so close to sending you a real birthday gift, but thankfully my Internet connection came back. Happy Birthday! 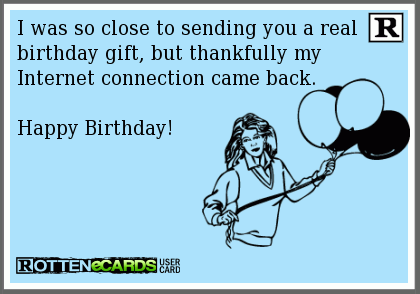 I was so close to sending you a real birthday gift, but thankfully my Internet connection came back.